The theremin is a musical instrument that is played without any contact by the performer. It was one of the first electronic instruments ever created, and later popularized by Robert Moog who designed a build-it-yourself kit version for mass consumption. It was invented and pattented in 1928 by Léon Theremin, a Russian whose actual name was Lev Sergeyevich Termen but we English speakers took the westernized version instead. Theremin also invented a passive listening device called “The Thing”, which was mounted in the US Ambassador’s Moscow office during the first seven years of the Cold War enabling the Soviets to listen to private conversations. How did the Soviets get it in there? A small, passive radio frequency antenna (a “bug”) was hidden inside a plaque seal of the United States given to the ambassador by Russian school children as a gesture of friendship in 1945. Insane. Once again, it’s an instrument that does not need to be touched. The instrument has two antennae; the upright antenna controls the pitch and the the horizontal, looped antenna controls the amplitude. Both have the function of sensing the player’s relative position and control the oscillators and amplification accordingly. As your hand approaches the upright antenna the pitch gets higher. The loop antenna is used to enhance and shape the dynamics of the tone, as well as its volume. You can fade notes in and out, create vibratos and glissandos, alter attacks and create interesting delay patterns, all with your hands! Because the volume and the lack of volume are both dependent on the performer’s position, one needs to actually play the silences and rests on the theremin. Lastly, to find the right starting note, in mid air, you either need perfect pitch, a tuning fork, or to take a tuned pitch from another instrument. Your theremin needs to be tuned according to your body. You set the relative engagement with the electromagnetic field between you and the pitch antenna. In plain English, that just means the theremin needs to determine where you are before you start playing. From a performance standpoint, it’s actually also helpful to do this, because by adjusting the range of the electromagnetic field around the pitch antenna, you can make sure all the notes you’ll be playing are easily within your reach. 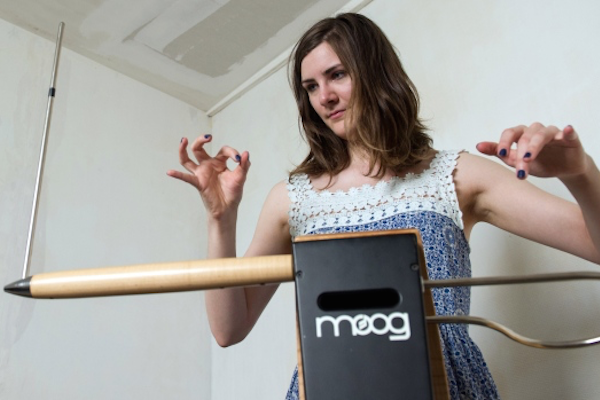 Theremin-obsessor/expert/artist Carolina Eyck can show you how to tune your instrument. Theremins use the heterodyne principle to generate an audible tonal signal. This is the radio signal processing technique of combining two frequencies, using outside signals or a controlled oscillator, to create one manipulable frequency in the audible range. This is how the theremin is able to generate a range of audible tones from the input signal generated by the antennae. The famous Ondes-Martenot, created by Maurice Martenot in 1928, also uses this same principle but needs to be touched in order to generate signal. 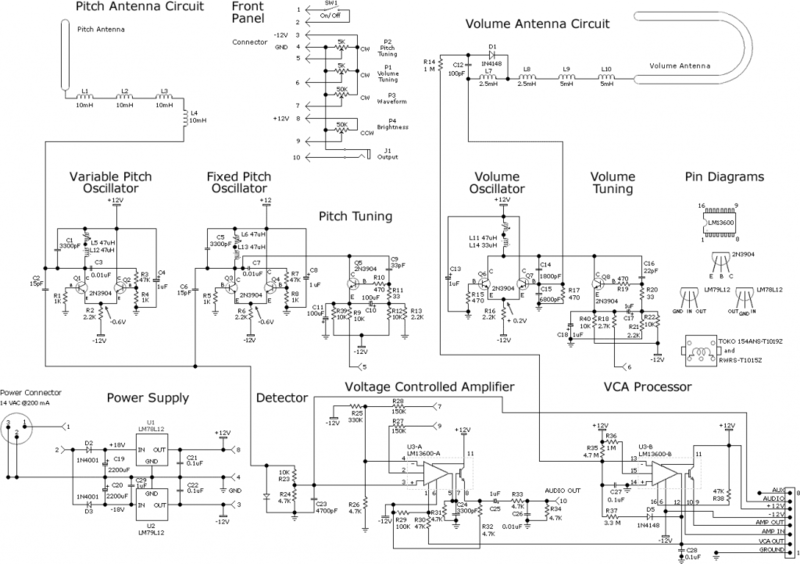 If you can read electronics schematics, here’s how to build one. The Big Bang Theory makes fun of it. Sean Michaels, a Montréaler who co-founded the brilliant music blog, Said the Gramophone, published a novel in 2014 called Us Conductors which was inspired by the relationship between Léon Theremin and virtuoso theremin performer, Clara Rockmore.